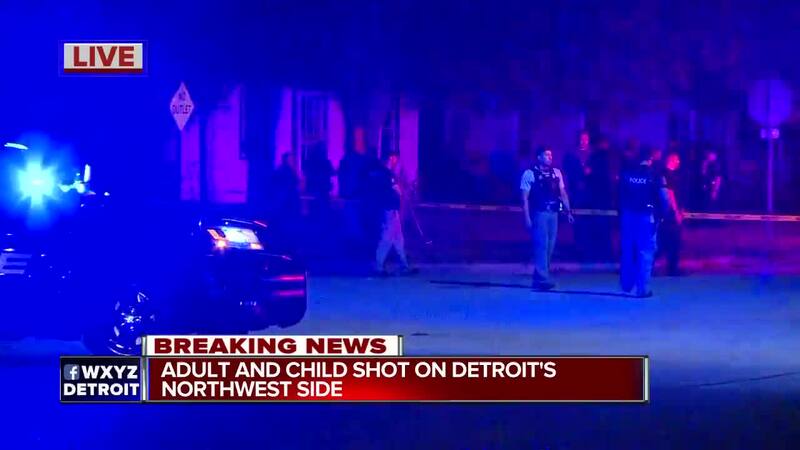 An adult and a child have been shot on Detroit's northwest side, according to police. Detroit police say a 5-year-old girl has died after being shot on Detroit's northwest side. Police say the child's mother is in critical condition. The shooting occurred on the 19000 block of Lyndon near Evergreen Road Thursday evening. Police say the mother was shot 16 or 17 times and her 5-year-old daughter was shot one time in the head. Detroit Police Chief James Craig said the 5-year-old was still breathing but was pronounced deceased upon arrival to the hospital. Police believe the shooting stemmed from a family dispute. Two suspects, one man and one woman, were taken into police custody Friday morning. Police believe the man is the lone gunman and may have been wearing a mask during the time of the shooting. Craig said the woman taken into custody is the mother's sister.